brownie crunch | Badudets Everything Nice! Last year, we’ve seen some hybrid food innovations such as the cronut (donut + croissant) and leche puto or puto leche (leche flan + puto) as an example. Jack N Jill, the makers of Cream-O, made it’s own delicious hybrid for the Cream-Oholics. 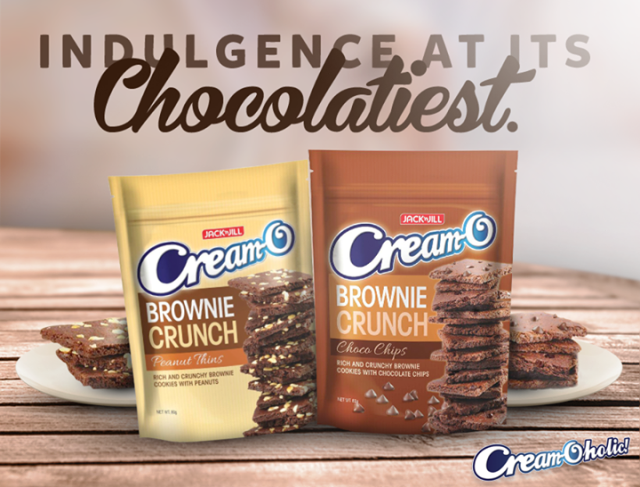 It’s the Cream-O Brownie Crunch, the goodness of a cookie and brownies in one.